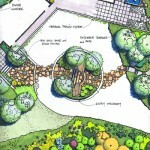 As principal of Windrose Landscape Architecture, Scott Woodcock has turned a natural talent for drawing into a tool for communicating design intentions. Clarity of concept and an eye for constructability and cost management form the underpinnings of our approach to landscape architecture and the creation of significant and enduring people places. 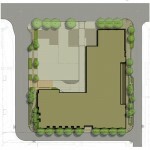 Our experience ranges from large-scale public/institutional work to the smallest residential courtyard, including commercial, mixed-use, low income housing, and specialty gardens. Our strong belief in listening, collaboration and leadership — provided in equal measure — define the guiding principals of our practice. We believe that design clarity begins with the built forms of any design, specifically hardscape and architectural elements. As avid plant enthusiasts, we utilize the botanical expressions within a project to complete the design statement.